A ninth organization has just joined Casa de Internet for Latin America and the Caribbean, a physical space located on Montevideo’s beautiful Rambla waterfront avenue, home to the region’s major Internet organizations. The recently created Latin American Internet Association (ALAI) joins the collaborative approach that brings together leading Latin American and Caribbean organizations to promote the Internet as a concrete tool for the region. Gonzalo Navarro, executive director of the Latin American Internet Association, noted that Casa de Internet is “the only initiative of its kind in the world and largely represents the way the Internet ecosystem has historically been built” in Latin America and the Caribbean. In an interview with LACNIC News, Navarro observed that this novel organization was created to contribute the point of view of a sector which so far had no representation within Casa de Internet. ALAI is an international non-profit organization legally incorporated in Uruguay which seeks to encourage thinking about and developing the Internet in the region by defending our core values of freedom, education, innovation, entrepreneurship, economic growth, and user empowerment. Which organizations are part of ALAI and what are the goals of this non-profit association? ALAI is currently made up by its five founding members — Despegar.com, Facebook, Google, eBay, and Yahoo. Several other companies conducting online business in the region have also joined us, among them Pedidos Ya, Restorando, and Workana. Our aim is that more and more members providing services over the Internet — no matter their size — will join this initiative, so as to be able to serve them and make their voice heard on the principles which inspire us, declaring, promoting, and defending their perspectives; advancing the sector’s views in different public and private environments; and helping enrich the Internet ecosystem, building bridges among its different actors and developing public policies within our area of competence. Why did you decide to join Casa de Internet for Latin America and the Caribbean? 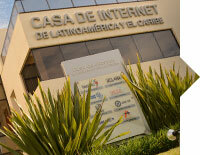 How important do you believe Casa de Internet is within the Latin American context? The first reason why we decided to join Casa de Internet is because, conceptually, the existence of a physical space which brings together different regional stakeholders whose work relates to the Internet seems like a great idea that should be preserved and encouraged. This place is unique, unlike any other place in the world, and largely represents the way in which the regional Internet ecosystem has historically been built, namely, with great effort and cooperation, respecting everyone’s place, with the ultimate goal of transforming the Internet into a tool for regional development. What do you think ALAI will bring to Casa de Internet? ALAI represents a sector which so far had no representation within Casa de Internet. We hope our contribution will add to that of the other organizations currently working within the house in order to preserve this shared space that has brought so many benefits to Latin America and the Caribbean.